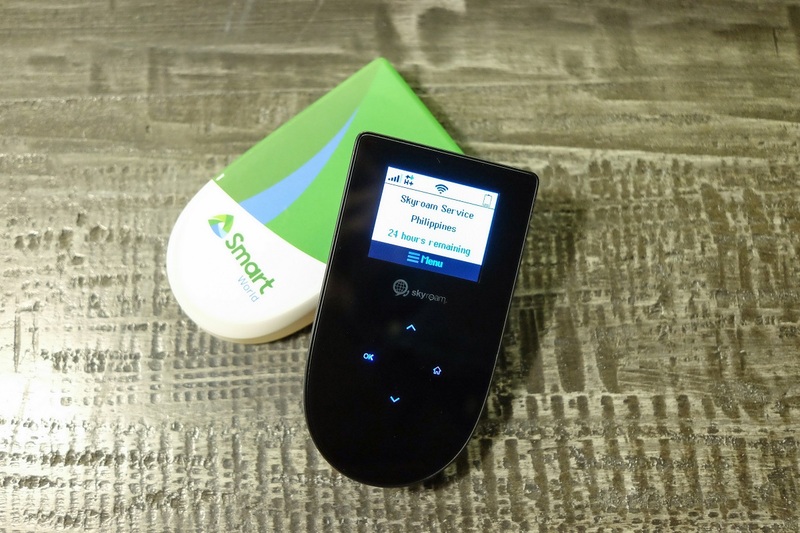 Leading mobile services provider Smart Communications is making your overseas getaways a lot more enjoyable and worry-free this holiday season with the Smart World Travel WiFi, a portable WiFi hotspot that lets you stay connected in over 100 countries for as low as P390 per day. You can also access travel apps for a much more convenient travel: Connect to your Airbnb host; book an Uber from time to time; use Waze or Google Maps for directions; check in to your next flight; and even search for valuable tips and recommendations on must-see sites from fellow travelers. The device goes offline after a 24-hour period is up, so you don’t need to worry about going over your budget or getting charged with extra fees. For added convenience, the device will be picked up at your specified destination upon your return to the Philippines. The P490 per day rate also applies in the Americas (Antigua and Barbuda, Argentina, Aruba, Barbados, Bermuda, Bolivia, Brazil, Canada, Cayman Islands, Colombia, Costa Rica, Curacao, El Salvador, Guadeloupe, Guatemala, Haiti, Honduras, Jamaica, Martinique, Mexico, Montserrat, Nicaragua, Panama, Paraguay, Peru, Puerto Rico, Saipan, Trinidad and Tobago, Turks & Caicos Island, United States, Uruguay, and Venezuela). To know more about Smart World Travel WiFi and make the most of your overseas adventures, visit www.smart.com.ph/travelwifi.